Please enter your e-mail or player name and password. Welcome traveler to the online fantasy game Elvenar! After many millennia, the ancient and untouched world of Elvenar seems ready to be explored once again, having recovered from its previous inhabitants. A new era dawns	for your people. Choose either Elves or Humans and create a lush city in the city builder game Elvenar. Both races rely on the vision and leadership of you as their new ruler. Take care of the construction of your village and guide Elves or Humans through the dazzling realms of this new fantasy game filled with many secrets, mysterious monsters, and rich resources. Set out to uncover long forgotten technologies and build a prosperous city. Will you become a force to be reckoned with in this city building game? In Elvenar you are able to choose your favorite race of either elven or human ancestry. Pick up the reins and lead your people into a new era by laying the foundation and building your city just the way you like it! 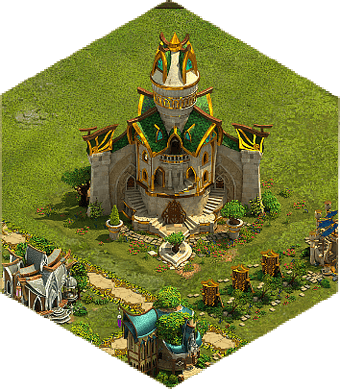 You can upgrade almost every building in this free fantasy game to make it look more beautiful, more efficient, and more productive. Residences offer more housing space for your citizens and can be upgraded to your city's benefit. Workshops or Manufactories find ever better methods to provide you with more building materials. This is very important as you progress in Elvenar, the online city builder game. Explore an opulent fantasy game world, gather relics and prepare yourself for unfriendly encounters! As soon as you feel up to it, the vast and mythical world of Elvenar encourages you to explore the world map. There is a myriad of areas surrounding your city, just waiting for your scouts to explore. Each of these regions in the free online game holds relics to unleash your production potential. 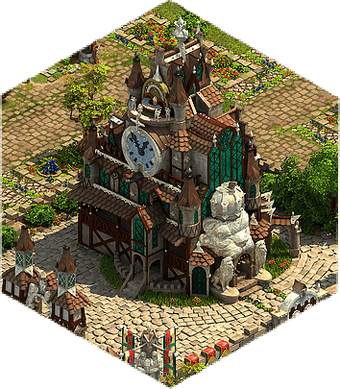 These powerful relics will boost the production of different types of goods in your city. In Elvenar, you can get your hands on these relics by either trading some with the province owners or fighting for them against savage creatures! You are not alone in Elvenar, the fantasy city builder game. On the vast and seemingly unending world map, numerous other tribes of elves and humans have made their home. You can visit them and take a good look at their city building progress. The sages tell stories of future trading possibilities and other ways to interact with your neighbors to further the growth and prosperity of your city.